The 50th Anniversary Celebration of the STAR TREK franchise continues in this special event mini-series! It's Kirk and the crew vs. the Klingons in a battle unlike any you've seen before: aboard the Enterprise itself! The return of the Klingons as a major foe in the Trek universe! 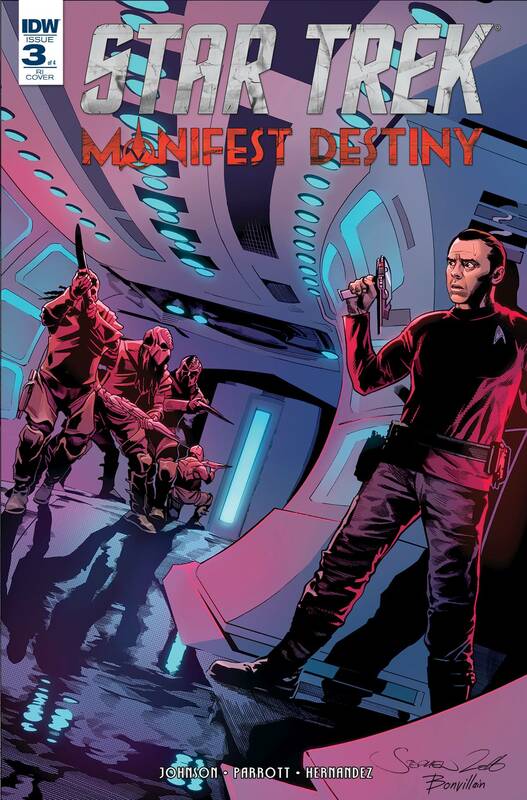 Celebrate the 50th anniversary of Star Trek and the upcoming blockbuster film with a stunning miniseries, from the talent that brought you Star Trek/Green Lantern and Star Trek: Starfleet Academy!